Country living but oh-so-close to Boulder. Here is a beautifully updated ranch home on a 1 ac. lot minutes north of town. Five bedrooms, including 2 large bedrooms and a kitchenette in a wonderful guest suite. The main level has a gourmet kitchen, marvelous family and living rooms, three large bedrooms and a bright study. Brazilian cherry hardwood floors and a spacious open floor plan highlight the interior. The 2,000 s.f. detached garage is new with room for up to five cars, boats and/or RVs. Enjoy VIEWS like no other in your Rolling Hills GEM! 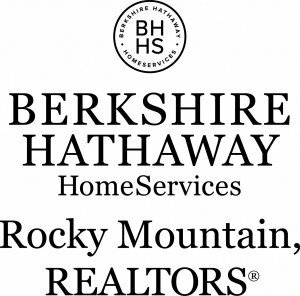 Entertain in your warm & inviting sun-filled home with remodeled kitchen, mountain-facing decks, vltd. ceilings, hdwd floors, newer carpet/paint, & spacious yard. Revel in the sunny lower level with open Rec Room, office space, & private bedrooms. Explore Boulder’s trails by walking across the street to the Shanahan Ridge Trailhead. Stroll to nearby Viele Lake, SoBo Rec Center, top-rated BVSD schools, shopping, & great dining/coffee shops. This floor plan sings like no other and fits your life like a glove! All living spaces throughout the home flow effortlessly while also allowing for private retreats for watching a favorite movie. Soft filtered light create rooms with harmony and balance. HUGE Master Retreat with views will entice you to unwind and relax! Entertain family and friends in the expansive park-like backyard with Gazebo. Discover Country Club Park, Boulder’s hidden gem and new rising star! Begin your day with a beautiful sunrise on 90 acres of prized mountain property. Adjacent to Bldr County’s Bald Mountain Open Space, this property has been held under the stewardship of the Colorado State Land Trust since statehood and is now being offered to the public for purchase.Celebrate the natural environment, topography, and draw in inspiration from this natural landscape. The 90 acres can be purchased in entirety or 2 parcels,offered individually,48 acres or 42 acres. 3 bedrooms, 3.5 baths, with 3rd story 18×9′ deck and 21×14′ rooftop deck with incredible Flatirons views. Clean brick exterior with black trimmed windows makes these modern rowhomes stand proud on east Pearl Street. Sophisticated Scandinavian inspired modern interiors; white oak floors, Caesarstone countertops, and stainless steel appliances. Private patio yard off main level for morning coffee and al fresco dining. 1 car garage + 1 tandem space off alley. Live the Colorado dream in this comfortable, light-filled, elegant home. Amazing Mountain Views! Versatile floorplan, open kitchen/Great Room, soaring ceilings. Wonderful upstairs 4-BR layout, Master BR offers west-facing deck, remodeled bath w/high end finishes. Main floor office, family room, dining room, inviting covered back patio. Granite counters in kitchen. Spacious garden level rec. room, BR/bath. Huge 3-car garage & tons of storage. Quiet location. N’hood pool/tennis/playground. Washington Village, Boulder’s newest co-housing community. This gorgeous duplex boasts hardwood flooring, a open kitchen with stainless appliances, Two bedrooms up with a study, open stairways, fireplace, all in a park like setting. Common amenities include an art studio, woodworking shop, library, and other flex spaces for community activities.